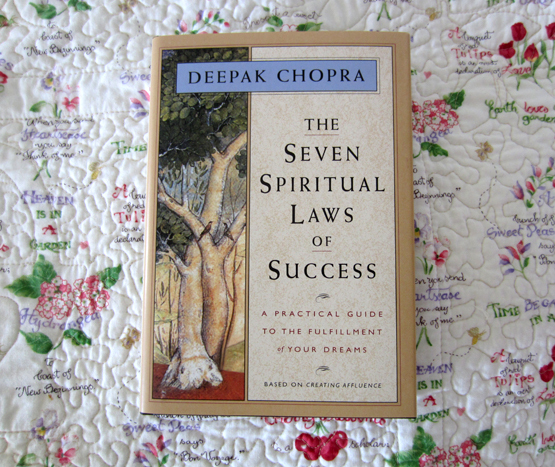 Seven Spiritual Laws of Success by Deepak Chopra Some people say success is measured by money, but we know success is better measured by attaining a healthy lifestyle, our friends, family, home, a happy heart, giving and receiving life's most precious gifts, caring, affection, appreciation and love ... success is making your dreams come true and taking joy in the little things in life. This little book is filled with common sense wisdom to help you achieve those things. It's a book I've dipped into many times over the years. 115 pages, hardcover.